Oily hair is a common problem faced by both women and men. This problem is caused due to excess production of natural oils by your scalp. 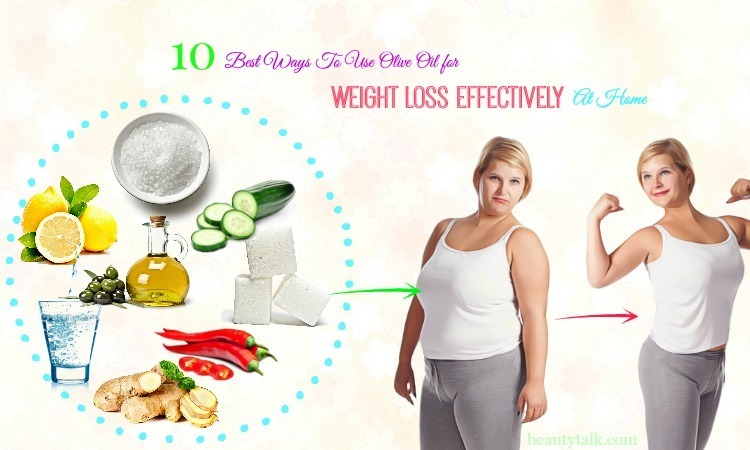 Besides, this can happen for lots of reasons namely hormonal changes, heredity, poor hair care, consuming too much oily food, and hormonal changes. You need to keep your scalp clean to prevent the problem of oily hair. However, it’s not a good idea to shampoo every day because chemicals present in some shampoos can aggravate the problem. 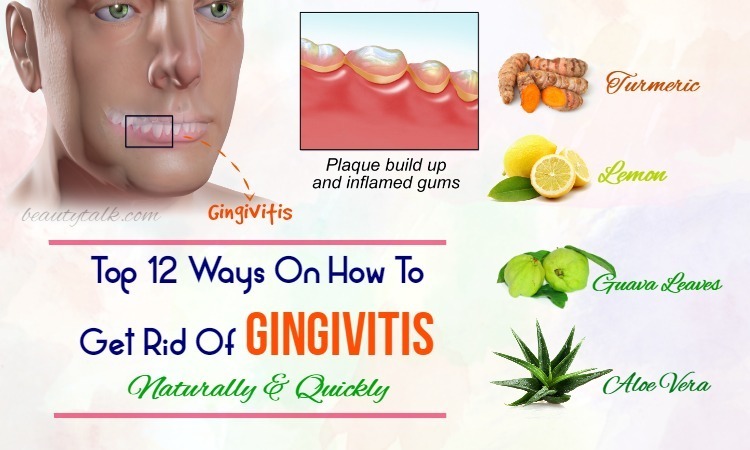 Thankfully, to prevent and treat this problem naturally, you can apply some simple-but-effective home remedies and tips. 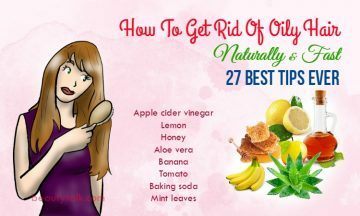 Now let Beauty Talk show you the best tips and recipes ever on how to get rid of oily hair naturally & fast. Let’s get started! 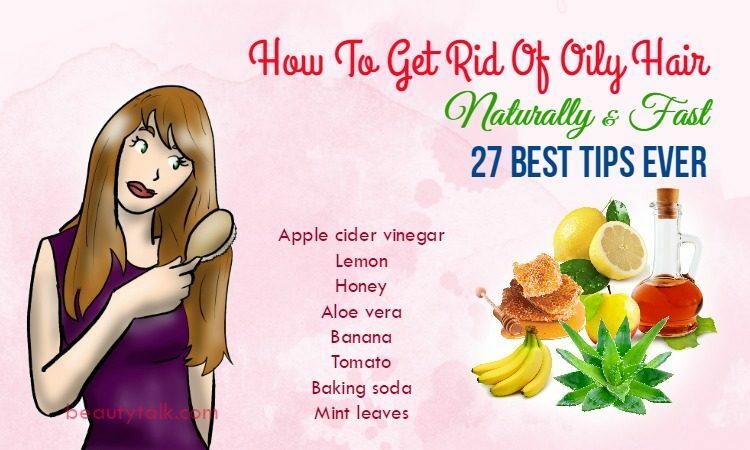 Taking a healthy diet is a simple yet effective way on how to get rid of oily hair naturally. It’s important to care for your diet because a diet will help you have strong, healthy and lustrous locks. Besides, it also keeps the hair and skin nourished. You should include foods rich in iron and protein in your diet to make the hair healthy, as a lack of these nutrients can cause hair loss and hair thinning. Consuming vitamin B rich foods will help to fight against the oil production in the scalp and hair. Foods high in vitamin B include poultry, fish, beans, meat, fruits, and vegetables. They will make the hair much stronger and make it healthy and lustrous looking. Vitamin E rich food consists of the essential oils, which keep the hair and skin healthy. It’s found mostly in fruits, nuts, and green leafy vegetables. Zinc also helps to control the sebum production by the scalp and the skin. Foods rich in zinc include fish, nuts, grains and legumes. Therefore, you should add these foods to your diet to control the problem of oily hair naturally. Frankly speaking, poor quality conditioners, shampoos, hair sprays and gels come with many chemicals that build up grease and oil in the hair, so they make your hair look greasy. Instead, you should opt for natural products, which create less build-up in the hair. 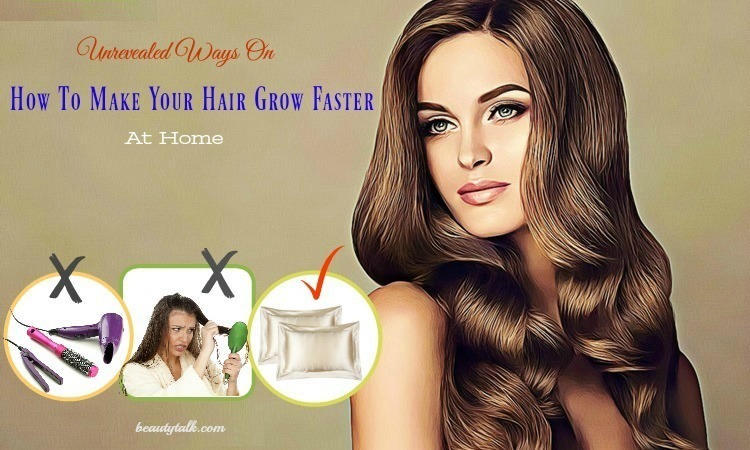 In addition, you won’t need to wash the hair continuously. Today, there are available lots of oil controlling shampoo you can use to take care of the hair. Basically, you eliminate the natural moisturizing oils when washing the hair. Washing your hair daily can produce more moisturizing oils in order to compensate for the loss of oil, making the hair sticky with oil and greasy. To remove oil from the hair, you should use a great oil removal shampoo to wash your hair around thrice each week. Avoiding stress will help you deal with the oily hair efficiently. Generally, depression and stress result in hormonal imbalance, causing the hair produce more oil. Doing yoga, medication, and exercising can help you get rid of depression and stress effectively. 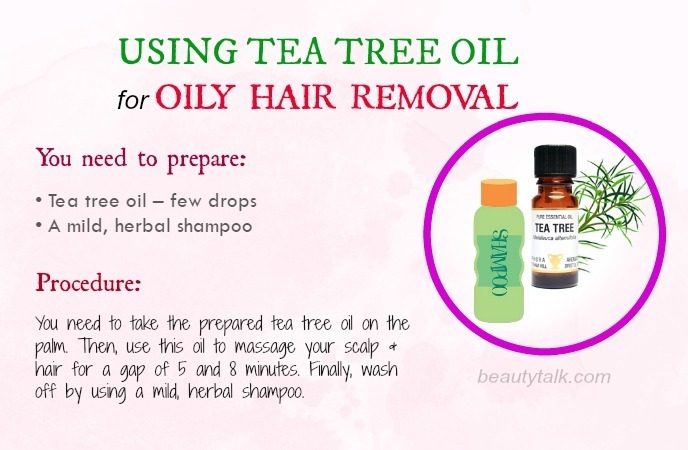 This will help you remove oily hair as well as other hair problems. Your hair will produce more oil & look greasy when it contacts with hot temperature. Hot temperature makes the hair oily and causes early hair loss and premature graying of your hair. So, to get rid of oily hair, don’t use hot water to wash your hair. Instead use cold or lukewarm water for washing the hair. Besides, you need to protect the hair from sunlight in the summer season by wearing hats or wrapping a bandana around the head. Moreover, remember to use a hair dryer at a low temperature. The initial step is mixing the prepared ACV in the water. Later use a mild shampoo to wash the hair and then use this resultant mixture as a rinse. Thereafter, wait for several minutes and use cold water to wash the solution off. This remedy can be followed 2-3 times each week. Firstly, make a paste by combining the prepared baking soda in the water. Then, start applying this paste on your damp hair. Leave the application on the hair for several minutes and afterward, use warm water to wash the hair. This treatment should be used 1-2 times each week. Get some baking soda and put it on your hands. Then, rub the baking soda all through the hair and use a good quality brush to brush the hair well. It’ll help to absorb all the grease. The initial step is adding some water to the prepared fuller’s earth to attain a thick paste. The next step is applying the resulting paste on the hair and scalp. You should keep this application on the hair for the duration of 20 minutes and finally, remove it with lukewarm water. 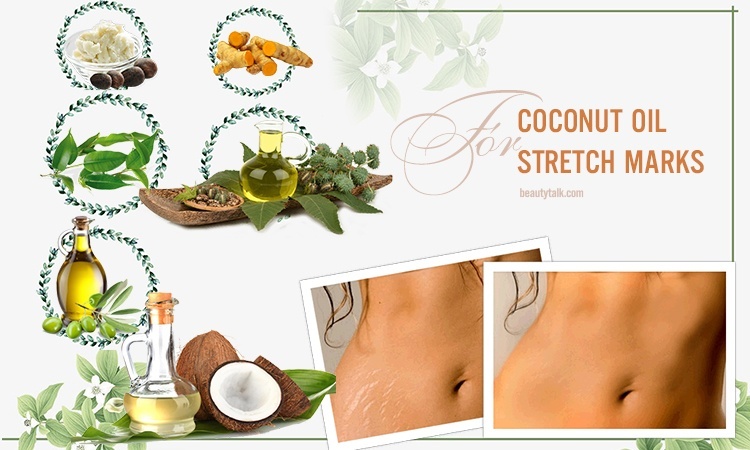 This natural treatment can be used once each week or several times monthly. For this remedy, you extract the juice from 2 lemons and mix the lemon juice in the distilled water. If desired, add the honey to it. Now apply on your scalp & hair using this mixture and gently massage it for the duration of few minutes. Finally, remove the mixture off with lukewarm water after 5 minutes. For best and soon results, follow this natural cure 3 times each week. For this method, you mix together the lemon juice and aloe vera gel in any mild shampoo. Later wash your hair thoroughly and let the shampoo sit on the hair for several minutes prior to rinsing it off. You can use this homemade shampoo as needed. The rest of this shampoo can be stored in the refrigerator for up to one week. Firstly, add the prepared black tea leaves to the water and later boil it for the duration of 10 minutes. Strain them afterward and let this solution cool down to room temperature. Thereafter, pour this resultant lukewarm mixture on the scalp & hair. After 5-6 minutes, remove it and wash the hair using a mild shampoo. 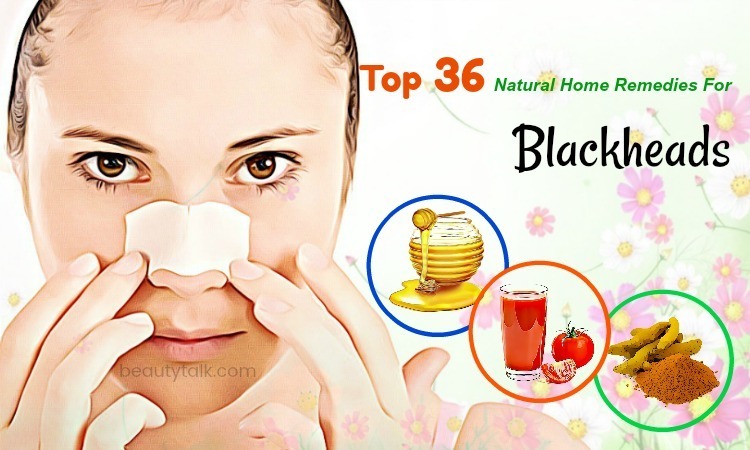 You can quickly remove the oily skin by following this simple method 2-3 times weekly. 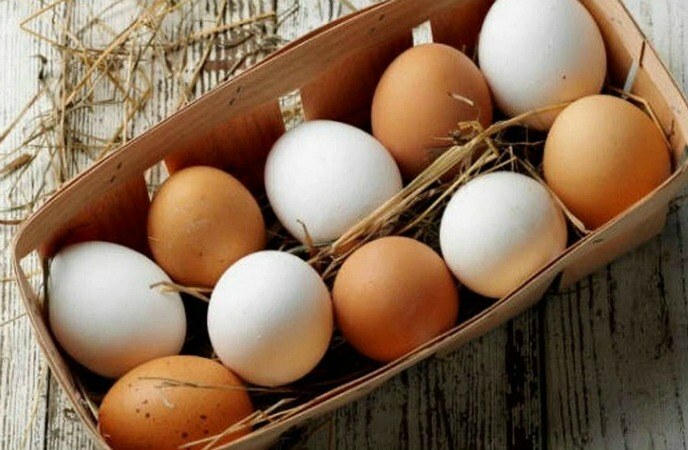 Whisk the egg white at first and later apply ½ cup of the whisked egg white on your damp hair. Keep it on your hair for a gap of 15 and 20 minutes. Rinse it off afterward and wash the hair with the aid of a mild shampoo. This natural remedy can be repeated once every two weeks. The first step is beating the egg yolks well and mixing in the lemon juice. The following step is applying this combination on your damp hair. With the aid of a mild shampoo, wash the hair after the duration of 5 minutes. 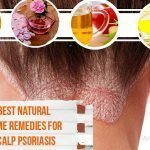 This natural and effective treatment can be used 2 to 3 times weekly. First of all, blend a banana in a blender to gain a thick consistency. Later add the raw honey to around 4 tbsp of banana paste. Thereafter, apply this paste all over the hair and finally, remove the paste using warm water after about 20 minutes. Follow this natural home remedy twice each week. The initial step is mixing the juice from a ripe tomato with the prepared fuller’s earth. The next step is applying on the hair & scalp using this prepared mixture. Cover your hair and head with the aid of a shower cap. Before washing off with cold water, wait for thirty minutes. Follow this tip 1 or 2 times weekly. Firstly, you sprinkle some corn flour on the hair and scalp generously. Next, massage for around 5-6 minutes and leave it to stay for thirty minutes. Comb excess powder afterward and wash hair by using a mild shampoo. It’s suggested to follow it 2 times each week for visible results. Take the water in a pan at first and add the fresh mint leaves to the pan. Then, boil for the duration of 20 minutes and allow the mixture to cool. Strain and now store the water in 1 container. 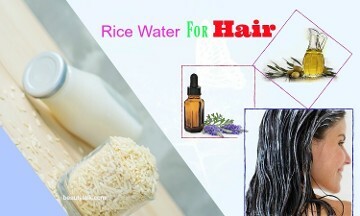 Use this resulting water to rinse your scalp & hair after shampooing. Keep it in the hair. The first step is grinding the orange peels with the honey. Then, start applying this solution on the hair & scalp. Let the application stay for 20-30 minutes and finally, remove with a mild shampoo. You need to take the prepared tea tree oil on the palm. Then, use this oil to massage your scalp & hair for a gap of 5 and 8 minutes. Finally, wash off by using a mild, herbal shampoo. Take the prepared oatmeal at first and add the milk to it. Then, boil it for a while. Let it cool and start applying on the scalp. After the duration of 20 minutes, rinse your scalp. Finally, clean your hair properly after using a shampoo. 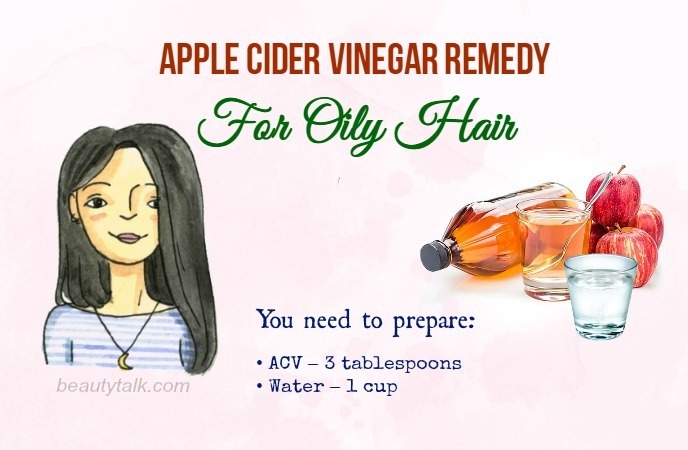 This remedy can be repeated two or three times weekly to treat the problem of oily hair. In a bowl, take the witch hazel oil and dilute the oil by adding the water to it. Then, apply the cotton ball soaked in the solution to the scalp and wash off with a shampoo after a gap of 2 and 3 hours. You can use this treatment three to four times weekly to decrease the greasiness of the hair. 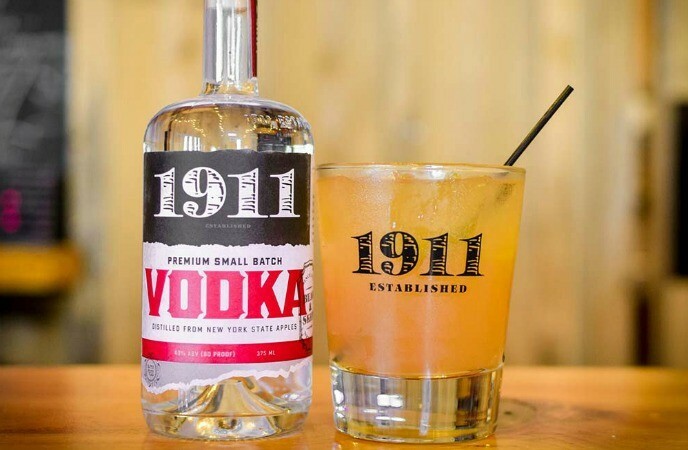 The first step is mixing the vodka with the water. 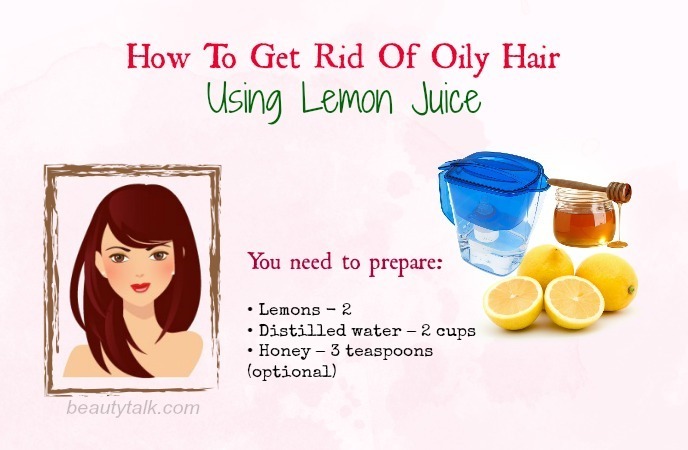 Now start applying this solution on the hair and wait for around 5-10 minutes. After that, rinse your hair properly and you will see the hair becoming dry in several minutes. You can use it regularly to end oily hair problem. Generally speaking, almost all alcoholic beverages contain great drying effect & help to decrease oiliness of hair. Beer is prepared from hops, yeast, and malt, which come with several nourishing nutrients, minerals and vitamins needed for the hair. It is also highly effective for treating the problem of oily hair. Mix the egg yolk into the beer to make a beer mask. Now massage this mask on the hair & scalp and then wear a shower cap. Allow the mask to sit on the hair for thirty minutes and finally, remove the mask by using a mild shampoo. The first step is brewing some tea liqueur and letting it cool completely. The next step is mixing henna powder with the prepared tea liqueur to make a paste and allow it to stay all night. The next morning apply this mask to your hair and cover it using a shower cap. Allow it to sit for a gap of 2 and 3 hours. Thereafter, rinse thoroughly and wash your hair by using a mild shampoo. This mask can be used twice a month. 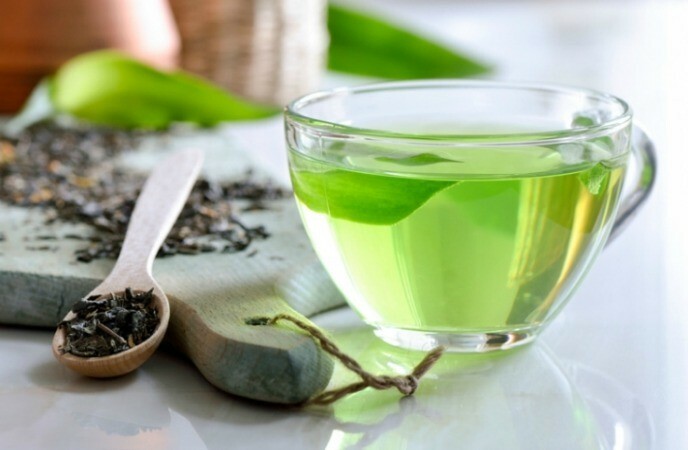 The first step is brewing a powerful liqueur with the green tea. The following step is straining the liquid and letting it cool totally. Afterward, use a mild shampoo to wash the hair and rinse it using the green tea. Finally, towel dry and do not wash away it from the hair. Boil some soap nuts in water for around 10 minutes and let it stay for a few hours. After that, wash your hair with this water. This remedy can be done 3 times a week. Avoid using serums and conditioners because these products will make the hair greasy. Steaming your hair frequently helps to cleanse the pores, which will decrease the greasiness and promote hair growth. Avoid eating spicy and oily foods since these foods encourage the production of oil on the scalp. Avoid brushing the hair too much since it promotes the oil-producing glands. Avoid scratching or rubbing the scalp when greasy because it can cause the infection. 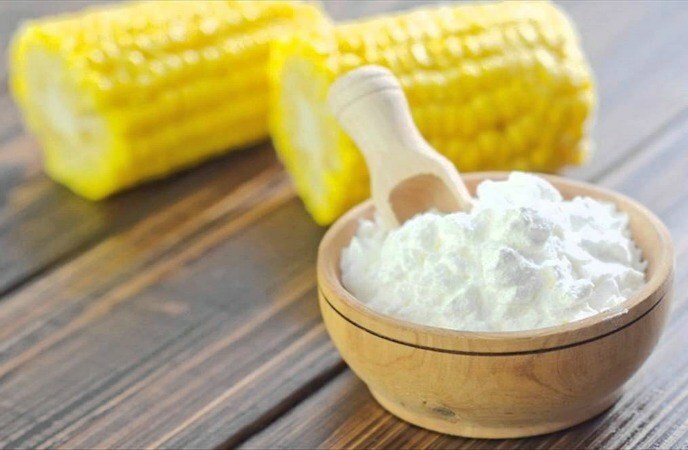 You can take some baby powder in your hand at first and later sprinkle it on the scalp. Let it settle for five minutes and thereafter, comb your hair. Sprinkle a little cocoa powder on the scalp and nicely spread it. Leave it for five minutes and after that, comb your hair. This natural remedy also helps to fix excessive oil problems of the scalp. Finally, shampoo your hair as normal. 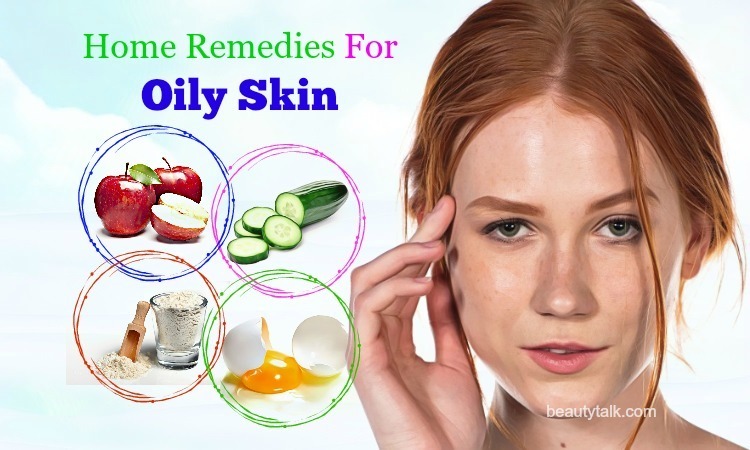 In fact, if followed properly, all these tips and remedies are highly effective to remove oily hair. Pick the ones suiting you the best and say goodbye to oily hair problems. If you know other methods on how to get rid of oily hair naturally and fast, share your tips or experience with us in the comment box below. Also, you can read more such informative articles by visiting our main Hair Care page.